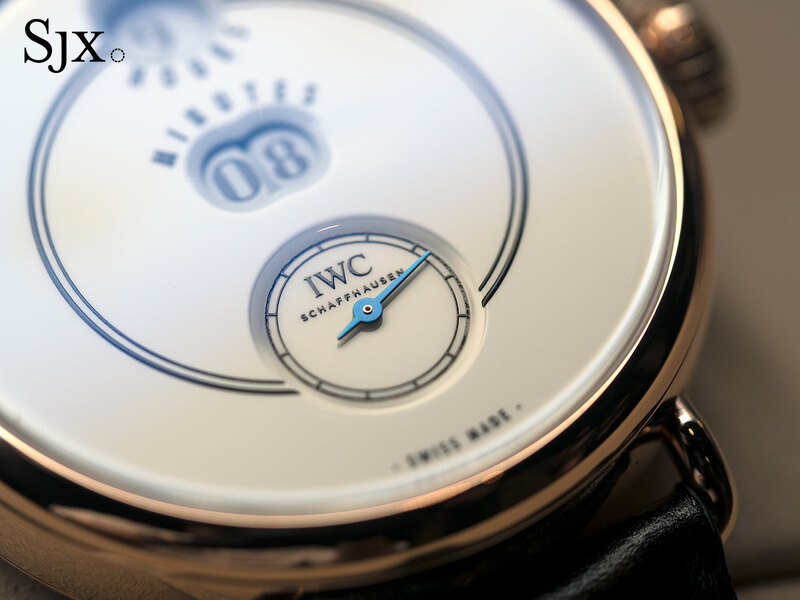 Undoubtedly the most interesting IWC wristwatch in a long time, the Tribute to Pallweber is best of the collection conceived especially for the Jubilee Collection marking the brand’s 150th anniversary next year. Inspired by a late 19th century IWC pocket watch with digital hours and minutes, the Pallweber wristwatch is smartly conceived, straightforward and reasonably priced. 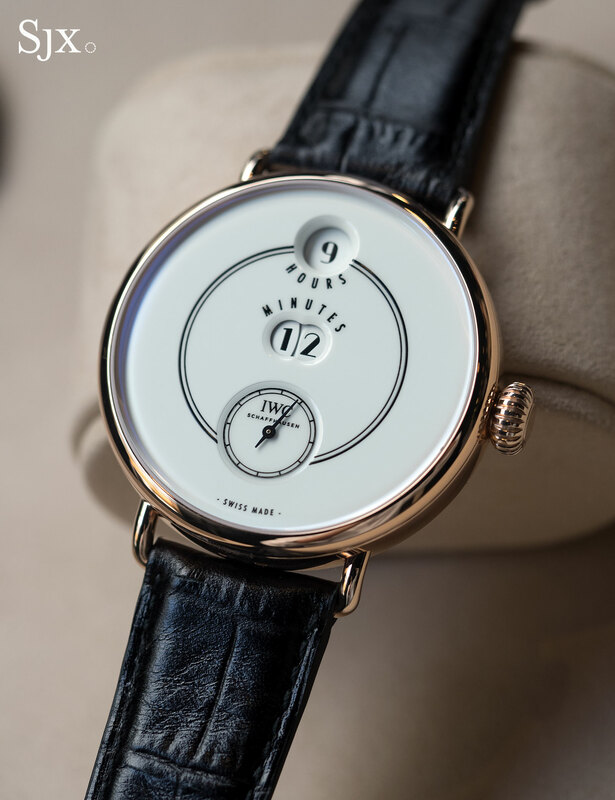 The original Pallweber was invented in 1883 by an Austrian watchmaker named Josef Pallweber, who licensed the idea to several watchmakers, though the digital display is best known in its IWC iteration. 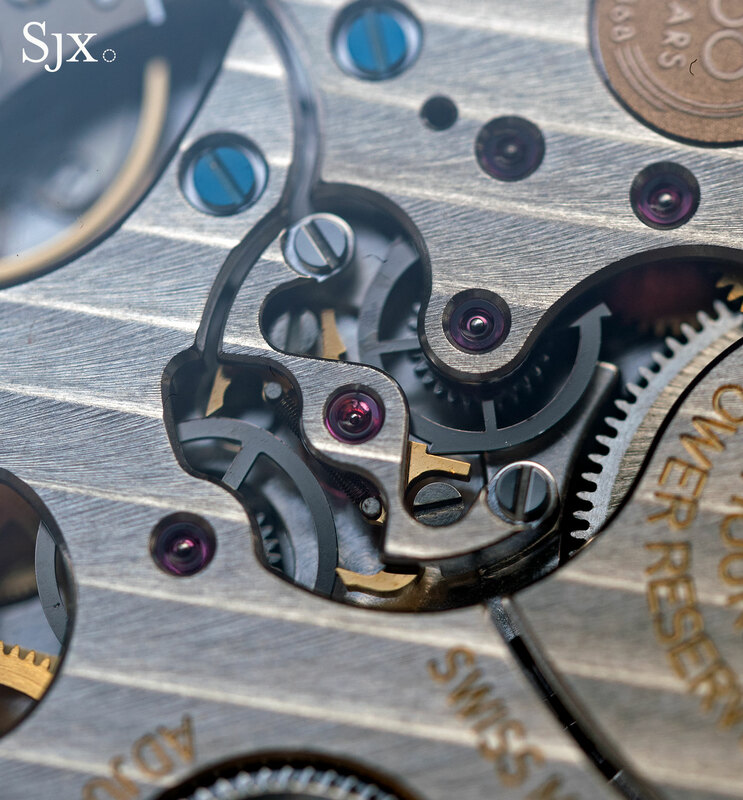 IWC produced the Pallweber from about 1885 to 1887, with about 20,000 leaving the factory. While the original pocket watch had a fairly simplistic movement, the Pallweber wristwatch is powered by the clever cal. 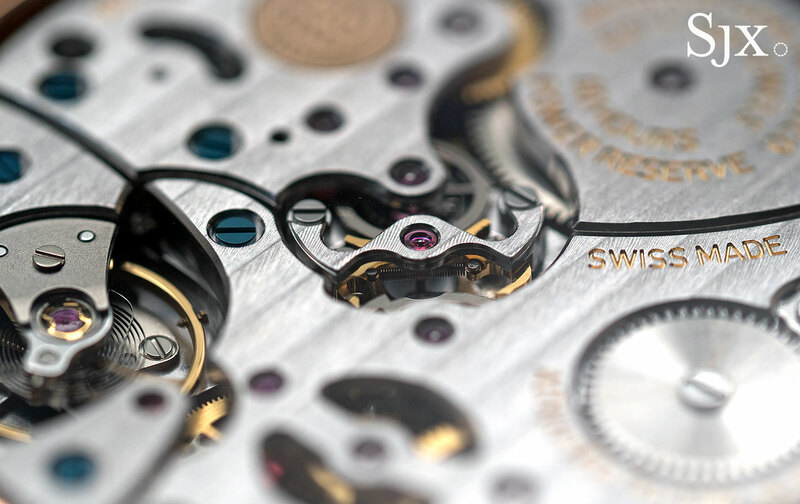 94200, a hand-wound, 54-jewel movement developed specifically for the Pallweber. It tells the time with three discs – one for the hours and two for the minutes – making it similar to both the Lange Zeitwerk and F.P. Journe Vagabondage. The movement relies on two barrels, each with its own gear trains. 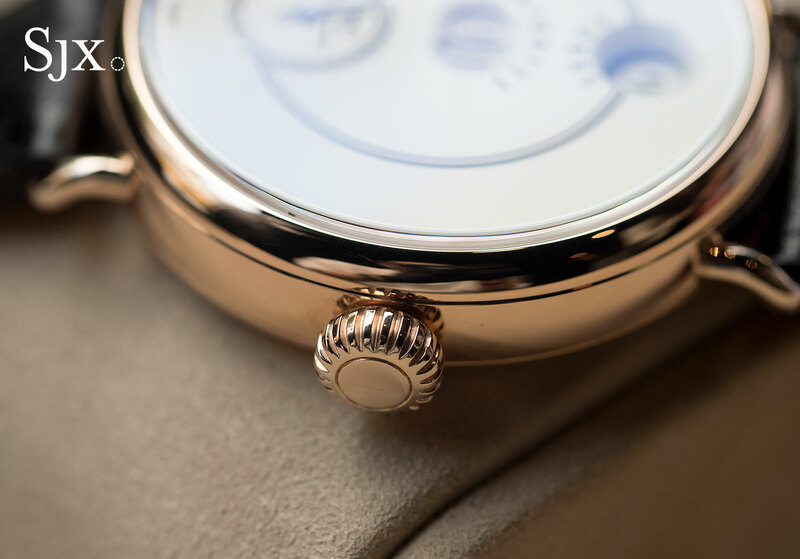 The first keeps the Breguet overcoil-equipped balance and escapement going – and consequently also the seconds hands, this will be important later – basically providing the energy for the movement to keep time. The second gear train drives the twin jumping displays, hours and minutes. Pulling the crown stops the seconds hand, allowing for more precise time-setting and also giving the whole time display a satisfying feeling. 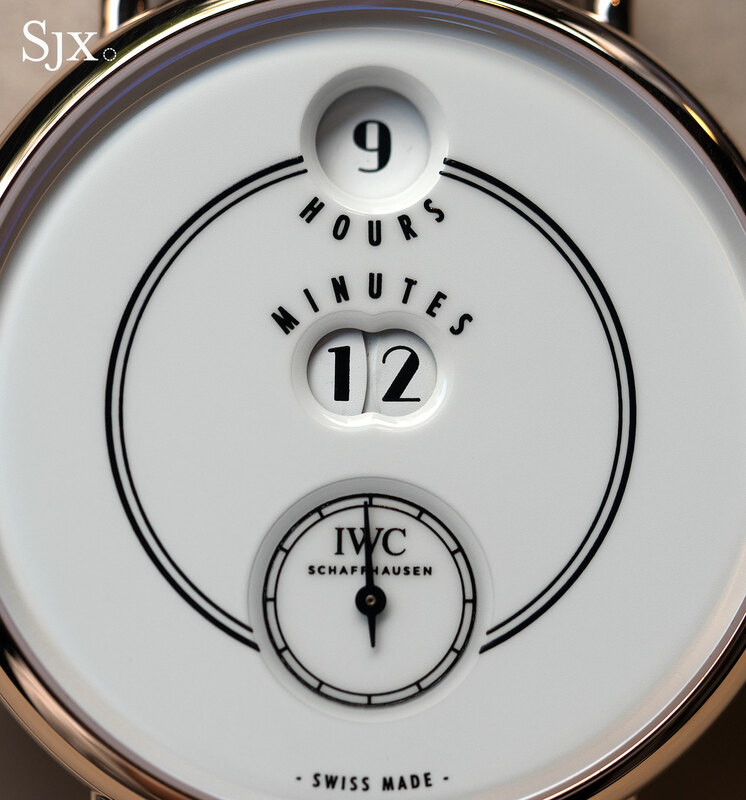 Importantly, though the seconds hand and digital displays are driven by separate power sources, they are in sync, meaning that when the seconds hand crosses the “60” mark, the minutes and hours jump simultaneously, give or take 0.25 seconds to 0.5 seconds according to Stefan Ihnen, the head of development at IWC. That’s because both are connected by a trigger mechanism that transfers an impulse from the timekeeping gear train to the digital displays train once a minute. Made up of a “cam wheel, two release levers and a release wheel”, the trigger mechanism is visible right in the centre of the movement on the back. 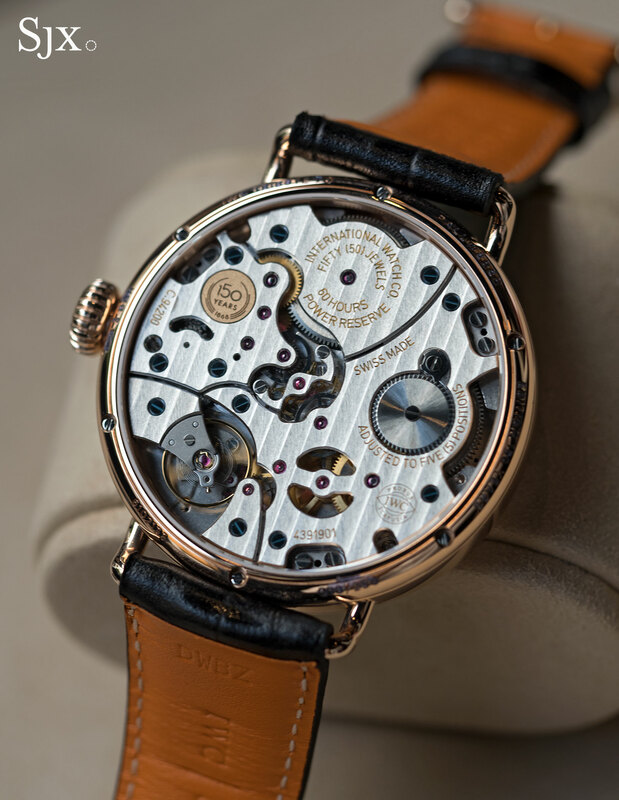 All of those jumping discs require a tremendous amount of energy, which is why the 60-hour power reserve of the movement is eminently respectable. The magnitude of the energy needed to power the time display is illustrated by the fact that the IWC cal. 52000 and cal. 59000 movements have seven- and eight-day power reserves respectively, despite being similar in size to the Pallweber’s cal. 94200. 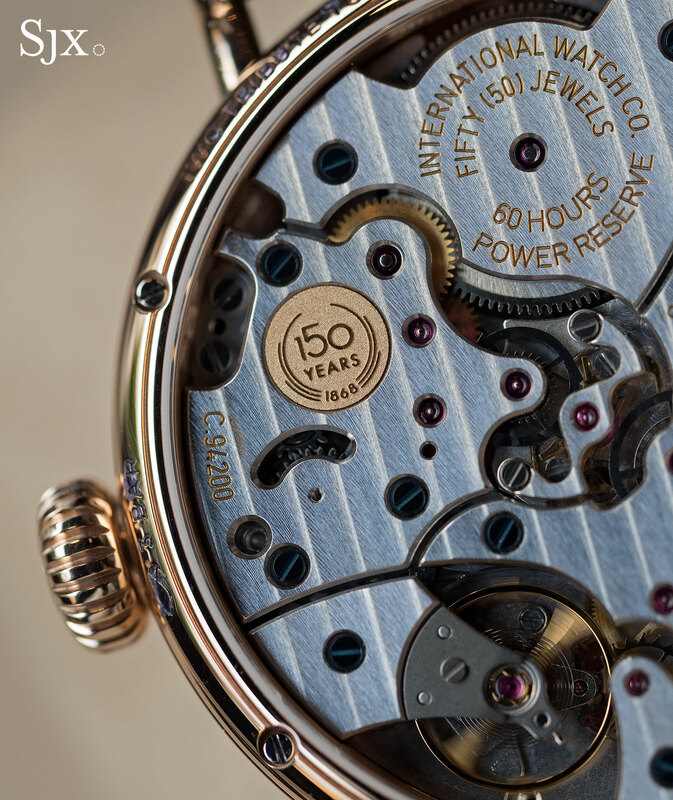 Though not fancily decorated, the movement has a complex look that is quite appealing, and one found on few other contemporary IWC movements. But like other modern day IWC movements, the balance wheel is relatively small, a feature that extends the power reserve. 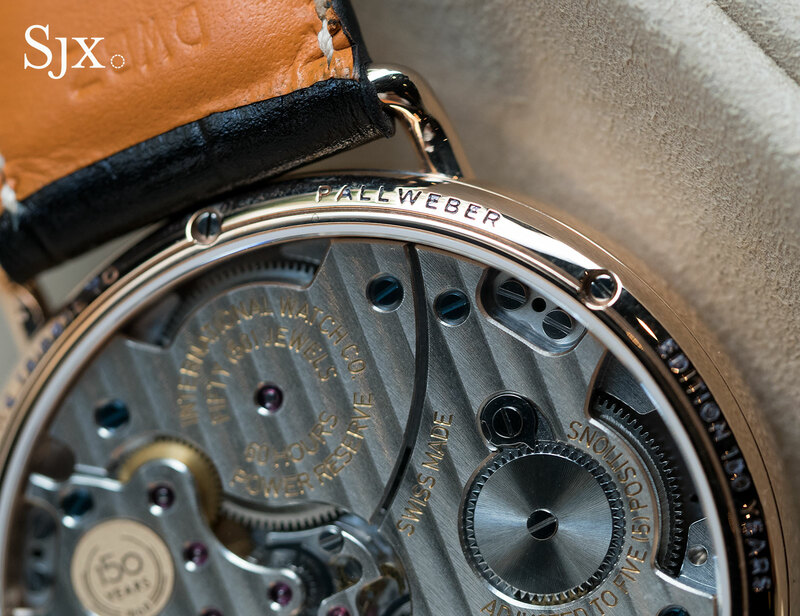 The Pallweber is a large 45mm in diameter, though it’s helped by its short, wire-style lugs. And the 12mm case height is also manageable, giving the watch attractive proportions. 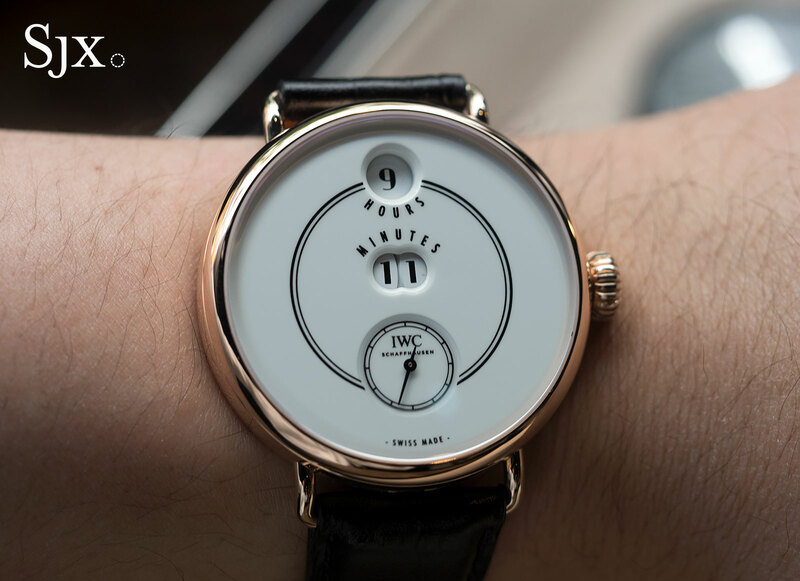 Visually the wristwatch is instantly reminiscent of the original pocket watches, though the design has been simplified. 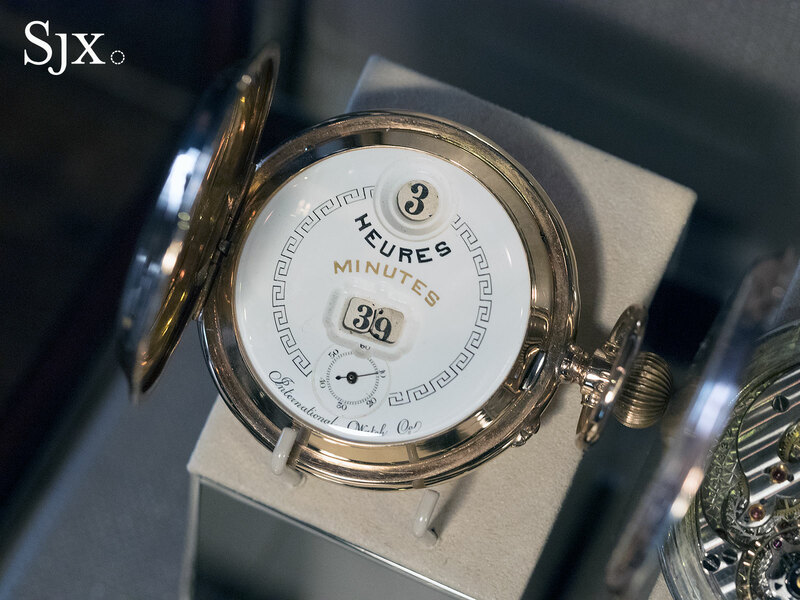 The essentials of the pocket watch – the lettering and border around the dial – has been transferred to the wristwatch, but streamlined to give it a slightly Art Deco look. 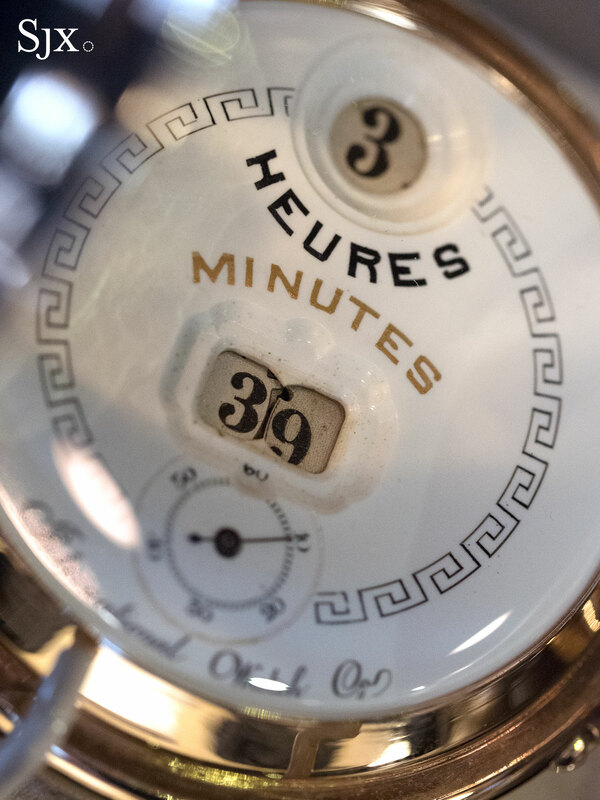 Though it resembles enamel, the dial is actually glossy white lacquer that nevertheless manages to convey the look of the pocket watch, especially with the wide, bevelled border around the windows as well as the recessed sub-dial for the seconds. Notably, the glossy lacquer dial is not only meant to mimic the look of the vintage pocket watch, but also a feature common to the entire line of Jubilee watches (while the other thematic dial colour is a dark blue, which might provide a hint as to other guises for the Pallweber). 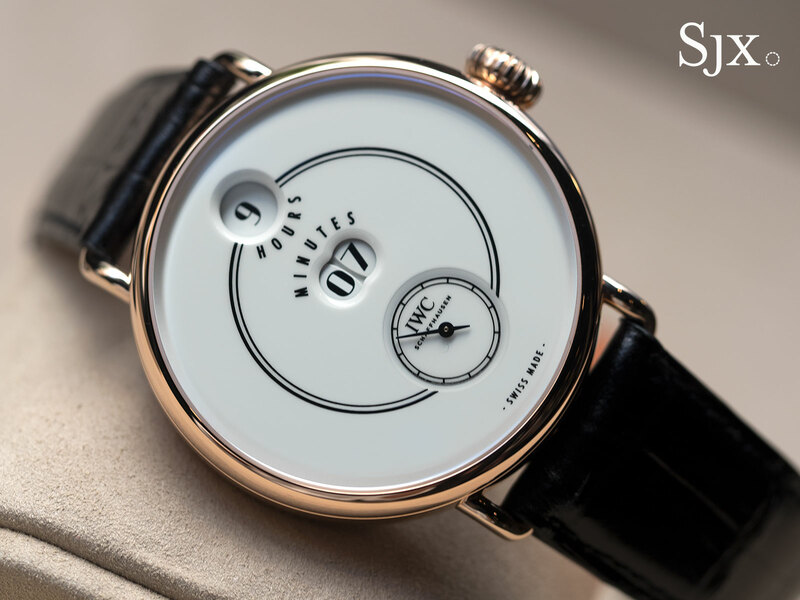 Slated to be launched at SIHH next month, the Pallweber wristwatch in red gold shown here is a limited edition, but it will not be the only Pallweber edition launched at the fair. 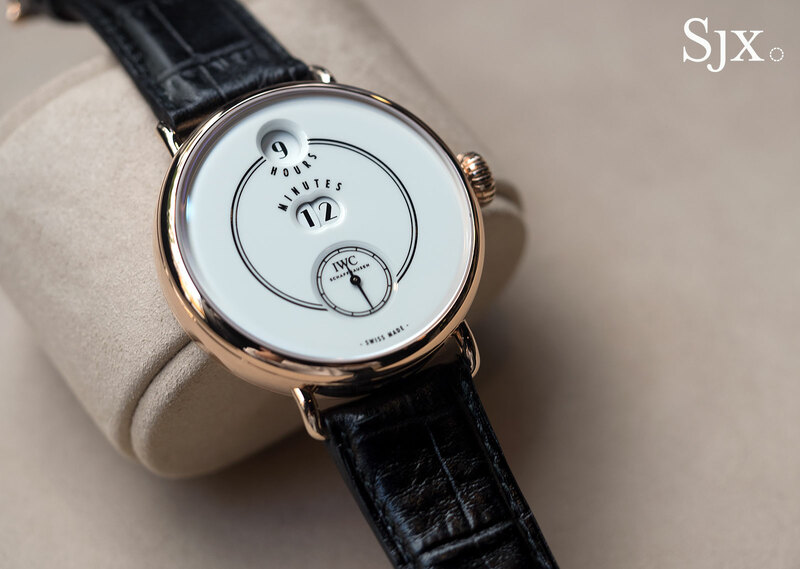 When quizzed on whether the Pallweber wristwatch will one day join the regular collection, IWC chief executive Christoph Grainger-Herr responded that there were no plans to do so, but did not rule it out. The IWC Tribute to Pallweber Edition “150 Years” in red gold (ref. IW505002) is limited to 250 pieces and will be available starting April 2018 at IWC boutiques and retailers. It will be priced at approximately SFr38,000, or about US$38,600, though prices are subject to change.